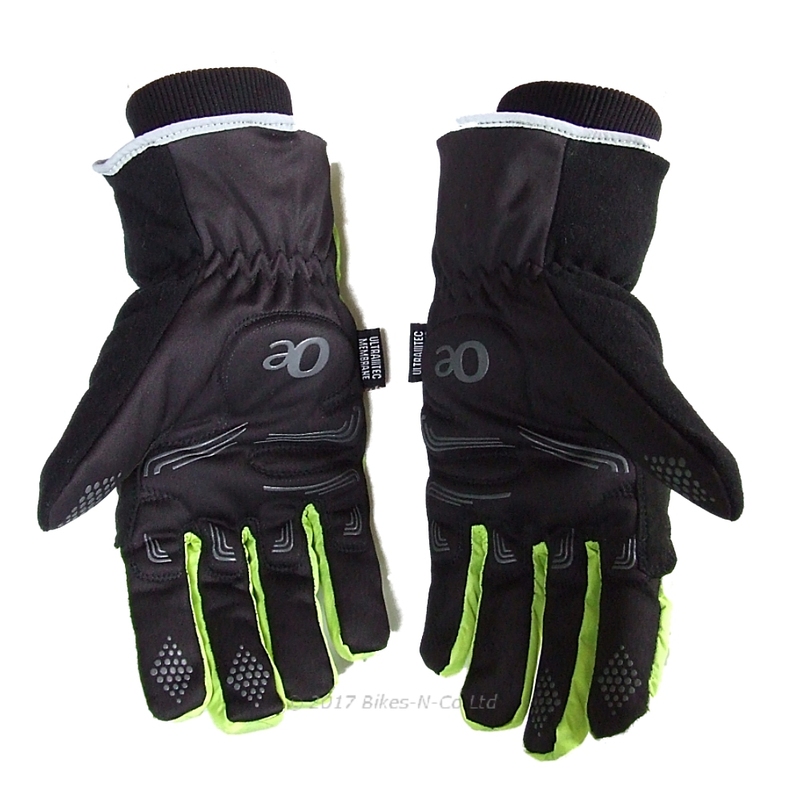 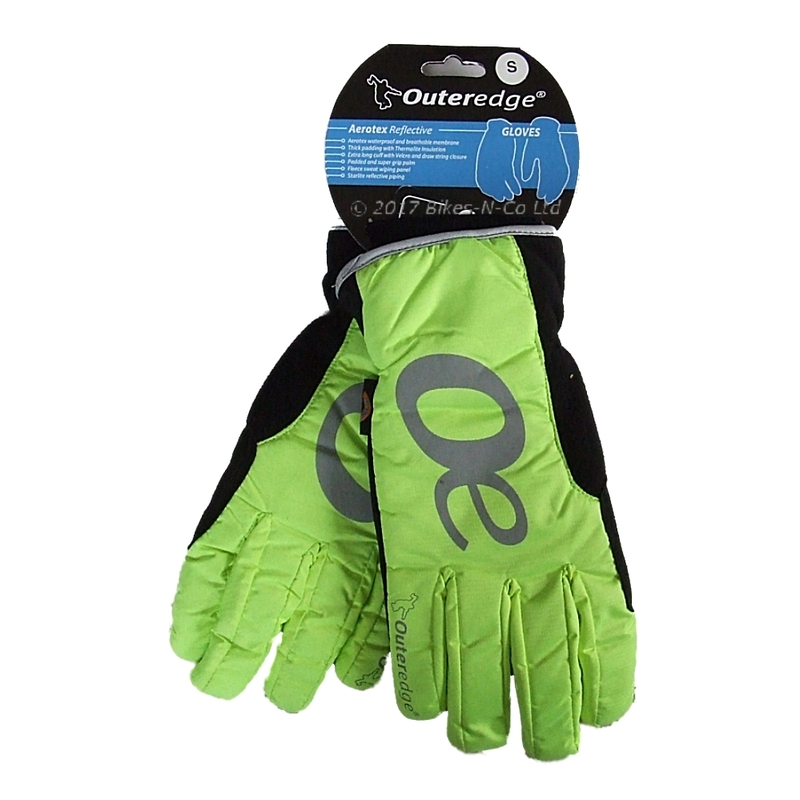 Outeredge, Aerotex Reflective Winter Cycling Gloves. 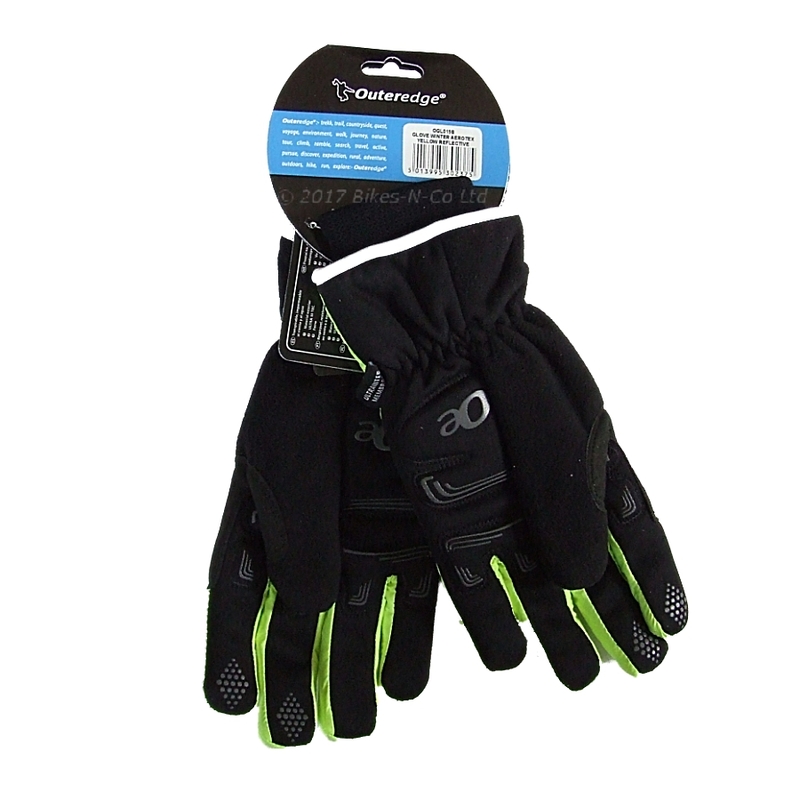 Made from Aerotex waterproof, breathable membrane with Starlight reflective piping and reflective logos these insulated winter gloves from Outeredge will enhance your comfort and visibility. 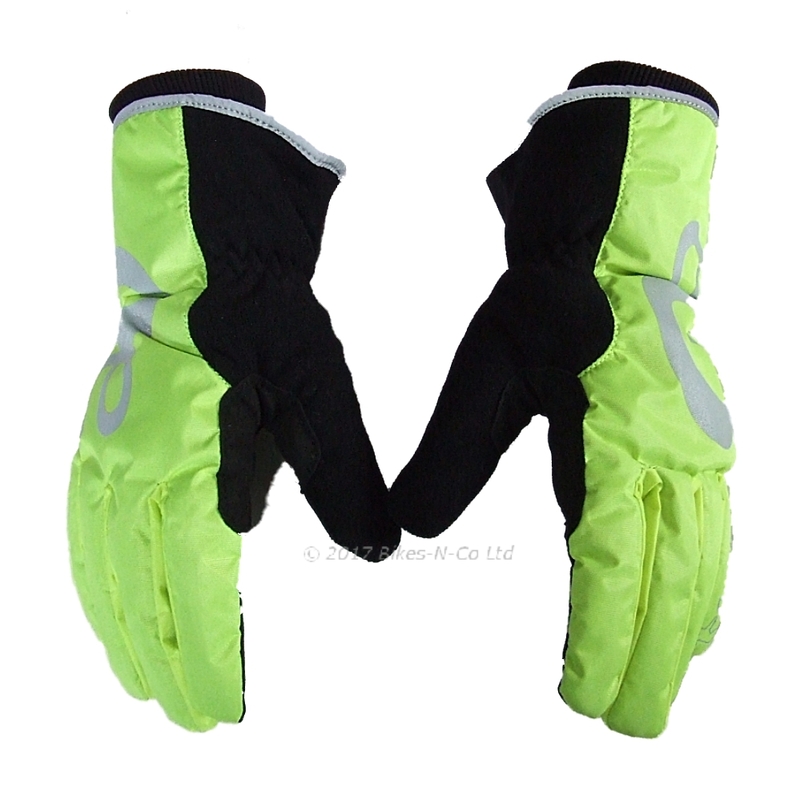 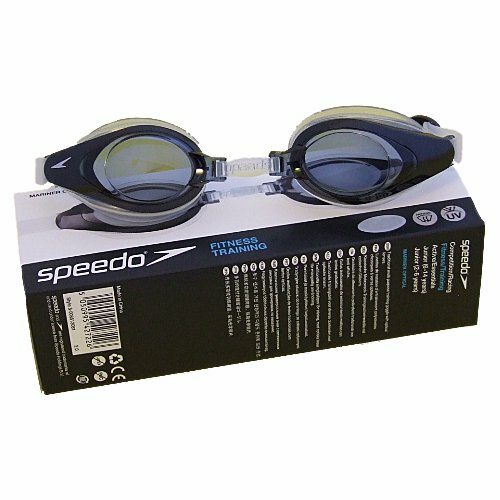 They have a tough padded palm, a fleece sweat-wiping panel and elasticated, double layered cuff for enhanced comfort and practicality.